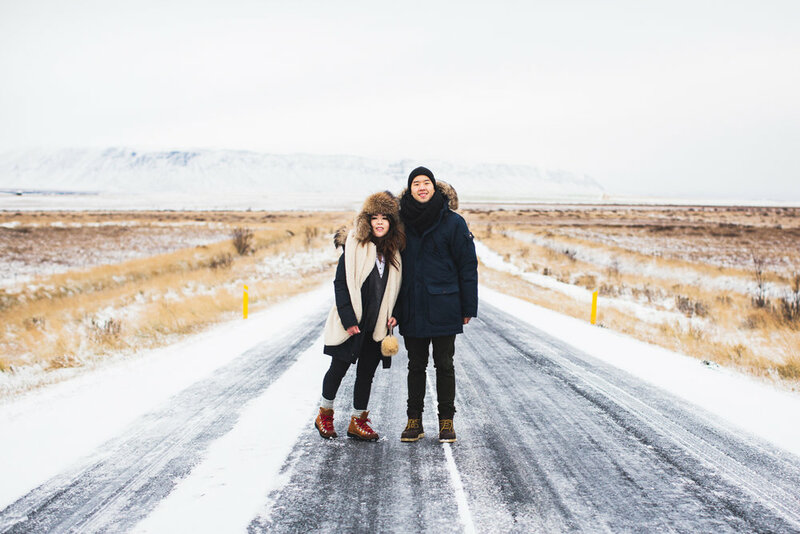 A few weeks ago, Andrew and I went on an adventure to Iceland. My oh my, it was hands down the most majestic and serene place I've ever seen. No matter where we were standing, we were in awe from our surroundings. It was hard for us to not step out of our car to photograph every second of this place, but not even my dslr camera could capture its true beauty. We just made sure to take lots of mental pictures! I'm sure you're wondering what made us decide on venturing to Iceland Well, for those of you who don't know, "The Secret Life of Walter Mitty" is one of my favorite films. Watching that film was life changing for me especially because I could relate to the protagonist. Walter Mitty, played by Ben Stiller, is a reserved and misunderstood guy who often comes off as awkward, unworthy, and uncool. He often gets caught zoning out but nobody knows that he has a wild imagination until life pushes him to his limits. Eventually his daydreams turn into a reality when he finally has the courage to go into the unknown. 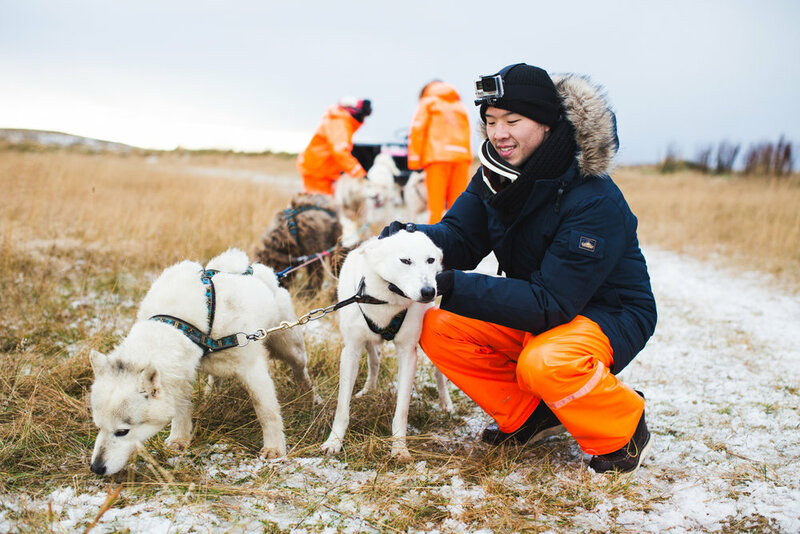 He travels to three locations and Iceland being one of them. One day my sweet coworker, Emily, shared a $283 roundtrip ticket to Iceland and I was immediately interested. After researching and finding so many unique things to do there, Andrew and I booked our tickets. Out of all the places we visited in Iceland, Skogafoss was by far our favorite. This waterfall was so majestic, massive, and mesmerizing. When I was filming the waterfall, all the tourists suddenly disappeared and Andrew quickly grabbed my hand. We frolicked towards the waterfall and then he turned to me. The first word that came out of his mouth was, "So..." and as he's talking I just froze. Knowing what was coming, my eyes started to swell, and everything became a blur. He pulled out a black box from inside his jacket, got down on his knee and asked, "Will you marry me?" Overwhelmed with so many emotions, I nodded and said, "Yes." It was undeniably epic. Iceland will always have a special place in our hearts. It's where we took our first solo trip together, first time experiencing dog sledding, and the very last time calling each other boyfriend and girlfriend. We're very excited to move forward together in the next chapter of our lives. I strongly urge everyone to visit Iceland once in their life. It's a popular destination for a reason. If you're considering to visit Iceland, I would avoid the prime winter season. What about the Northern Lights you say? Well, there's still a possibility you won't be able to see it and you have to deal with blizzards, getting snowed in, and the 4-hour window of daylight which is a big gamble. I'm no expert but I would suggest the in-between seasons are the sweet spot because you get both of best worlds. Greenery with some snow, more daylight, and chances of still seeing the Aurora. Most of the tourists are from London and I love that! Take lots of mental pictures because your camera won’t do justice! Watch the video of our entire trip including the proposal! Make sure to watch it in HD or see it on Vimeo.